A new Nickelodeon live action show is coming to the network in 2013. Auditions for actors were held earlier this year and shooting has begun on Marvin, Marvin!. The winner of the Marvin! Marvin! casting call was Youtube star Fred whose real name is Lucas Cruikshank. This will make for 2 Nick shows that Lucas currently stars in. The new Nickelodeon comedy show is about aliens and Lucas Cruikshank (Fred) plays the funny lead role. Nickelodeon is so sure that this will be a new Nickelodeon hit that they have ordered 26 episodes of the show. 26 episodes means auditions for Marvin Marvin for lots of parts including many extras. Also, the new Nick show is filmed in front of a live audience and producers usually cast kids, teens and pre-teens as audience members. Marvin Marvin will keep Lucas Cruikshank quite busy. His Fred character has become very popular and he has his second series Fred: The Show that he is also filming. Fred: The Show is also a comedy series that uses short comedic sketches. Nickelodeon is rumored to also have another Fred movie in the works following the success of the previous 2 Fred movies. Marvin, Marvin is created by Jon Ross, Jon Ross was responsible for 10 Things I Hate About You. 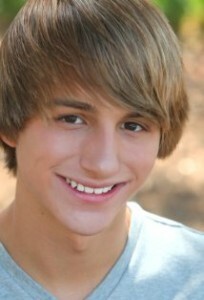 In the new series, Marvin is played by Lucas Cruikshank. Marvin is a alien teen living with a human family. The series is about Marvin’s life on Earth and his escapades as he tries to fit in and act human. Lucas has been on TV since 2008, following his very successful Youtube show. He has appeared in iCarly, Hannah Montana, Supah Ninjas and the Annoying Orange. Lucas was born in August of 1993 in Nebraska. Lucas became a star after creating funny videos and posting them to Youtube. Nickelodeon caught his videos and huge success on Youtube and brought him to the small and big screens with guest spots on popular Nick shows, followed by the Fred movies and now 2 of his own TV shows. Originally Lucas began by making videos with his two cousins John and Katie. The three of them have a production company called JKL Productions. If you want to get on The new Nickelodeon show Marvin Marvin, you better keep your eyes open because it is filming now. Free tickets may be available for the filming and the following notice just came out for auditions for teens for hit shows Austin and Ally, Shake It Up, Jessie and The brand new Nick series Marvin, Marvin! EXCLUSIVE live studio taping-experience your new favorite Disney and Nickelodeon shows as a PAID audience member! By invitation only! We are offering VIP access to some of the top teen shows- Austin and Ally, Shake It Up, Jessie and the upcoming new series Marvin, Marvin! SPACE IS LIMITED-CALL TO BOOK YOUR SPOT today! 2013 casting calls for in studio audience members may be coming up soon so keep your eyes peeled if you want to get into a Nickelodeon show taping to see all the action up close and personal. Find more information on Nickelodeon auditions and tryouts for 2012 and 2013. You can also see other Nickelodeon shows that have free tickets. My friends always say I would be good on the Fred show because I’m crazy, outgoing and I’m loving to people. I can be as crazy as Fred and I’m good at acting. Thank you for reading my comment. I am 12 years old. I love Marvin Marvin, it is my favorite show, if you picked me I could be Marvin’s cousin from his home planet. I am 5’1 , I have brown hair and eyes. I love to act and I have been in two plays at my school. I have always wanted to be on marvin marvin so thank you for making the show and if you let me on the show I will do the best I can do, thank you. I love to act. I think that it would be an honor to be on Marvin Marvin. I am 12 years old. I have brown eyes, black hair. If you pick me I promise to do my best. I can dance like a pop star. Hi! My name is Ethan and here is my info! Talents: I’ve Played Drums Since I Was Three Years Old, I’ve Played Guitar For Two To Three Years, I Can Sing And I’m Weird! Acting has always been a dream of mine and I’d be more than happy if you would be willing to make that dream happen and just to be apart of ‘Marvin Marvin’! I’m a great actor who is fine with just being an extra. I always make sure I catch EVERY episode of ‘Marvin Marvin’ thanks to PVR! I’m a great actor. I’m funny, talented, & I love marvin marvin. I know every line since the first episode so I would love to audition for marvin marvin. I’m 15 years old, I’m very handsome, determined , funny , and easy too get along with. I love acting it’s part of my life. I take acting very SERIOUSLY, I would so happy if Y’all chose me. I can be okay with any part you give me. Special stuff- I do, Tap, Hip hop, and Jazz. Hi I’m Mackenzie lyle. I really want to be on Nick. I always wanted to be on any nick show. I really want to be on house of anubis but I’m 10 and American. Hi, my name is Darielle. I am a very good actress and I could play any part needed. I most likely would be good to play a part that has to do with the little brother because we seem around the same age, but I will play any part from extra to guest star. I hope you choose me or keep me in mind. Thank you for your and time email me any time. I will work. Hello! I would absolutely love to be on this show. It would be my absolute dream come true. I have loved to act for as long as I can remember. I have a very big imagination and a very big personality. I sing too and a little bit of dancing. I’m 14 and 5’7, 110. When I was about ten my mom took me to Scottsdale for a modeling/acting interview. They said to come back the next day to fly to L.A. but I turned it down for some reason. It was the biggest mistake of my life and if you could give me my second chance I would be the most thankful person ever. Thank you for your time. Hey my name is Greg. I’m 15 years of age and of those 15 years I’ve been acting for 11 years. It’s been a life long dream to show my talent on national tv. I have a lot of support from my school, family, and friends. So PLEASE give me a shot. <3 I am a happy person to be with on set. My name is Todd Wood and I am 10 years old also I live in Hampshire, U.K. I would like to try out for the role, but I haven’t had any experience for this. We also have yearly school plays. give me a call or a email. My name is Angelica and I’m 15 years old natural hair is light/dark brown right now i have black eyes honey/brown, height 5’6 1/2 or 5’7. I’ve been dreaming too be on nick, I would love to be anything (extra) really but at least something. I sing I’m an okay actor, I’m not gonna lie, I’m not the best but if I set my mind on something I can get better. Information: I’m a white British Girl, although I can do American accents. I am on to drama and super heroes such as marvel characters, especially Iron Man! I am confident in acting. I have been in a few Oliver Twist west-end theatre shows. I also like sport, dancing, hanging out with friends, reading and doing stunts. I’m not shy and currently looking for a an acting job. Thank you for considering this, hope the lateness does not matter. Acting has always been my dream. I am originally from Poland and came here at the age of 4. I love how Nick gives so many opportunities to it actors/actresses and I would love to be part of that. I am a classically trained singer but can sing pop music and just started ballet. I have done a few plays and understand the time and dedication it takes to make a great show. Hi I’m 11 and I think that I would fit in perfectly with the cast of marvin marvin. I have experience with many plays and love the show since I was 3. I’ve wanted to be an actress and since I love this show I thought it would be the perfect time to really get into acting and also because I see Jacob Bertrand on there and he’s only 1 year older than me. He’s so good so that inspires me. Please email me back if your interested that would mean a lot to me! Hi, my name is Carlotta and I am 14 years old. I am from Germany but I learnt English for over 6 years in school. I haven’t got any experience. I just acted in two school plays but it was a lot of fun and I know since I was 6 years old that I want to act in movies or TV shows. I love speaking English (It’s my favorite lesson in school). I don’t want to make my dream come true in Germany. My hobby’s are dancing, boxing, playing the flute and singing and with my friends (I know it sounds a bit strange) I often plan movies and then we practice the same dialogue again and again until it’s perfect. I would love to act in your TV Show so please contact me. Thank you! What’s up I’m Jacob, I’m 12 and turning 13 in April. I’m in 7th grade. My friends say I’m very good looking and funny. My talents are acting and break-dancing. I have white skin, green eyes, and brown hair. I’m short but I’m also very fit. The sports I play are wrestling and football. My hobbies are drawing, origami, and movie making. I have been in many school plays and I have auditioned for a NIKE commercial so I know what to expect. I was born in San Diego California and I live in Austin Texas. My dream is to act in a TV show or movie. So please pick me for the audition, Thank You. I am Marlin Seay and I really want to act. You hear this every day but it’s my dream to be a actor like Fred. I really want to act. I know you hear this every day, but it’s my dream and I’m 12 years old. Hiya! I’m 10 years old. I like to act and dance. I’m not so good with singing. I’d like to be on Marvin Marvin as a guest star. I love the FRED movies, and Luas Cruikshank. I’m Lily and I would enjoy and be grateful to be a part of nickelodeon’s family. I am 14 years old, 4’10, pretty short. I love SNL and my inspirations are Molly Shannon and Will Ferrell. Thank you for your time and consideration and hope to hear back. I’m 16 years old, I live in a small town called braid wood IL. I would love to be a actor or singer. I would just like a shot to be on one of your shows. This is my dream. Will you help make it come true? thank you and have a great day. hey guys 😀 I’m Mackenzie Eurkaitis and I just saw a commercial for Marvin Marvin! It looked so funny 🙂 People usually tell me that I am funny, pretty, outgoing and would be an awesome actress! I’ve been in my school plays and I currently take several acting classes! can I have a chance to show you that I should be part of your show? I’m a good actor. I’m 14 and love the new marvin marvin. I hope I get picked. thank you. Hi my name is kelsi I would love to be a star on nickelodeon and It has always been a dream of mine. I love how to rock and icarly. I can sing and act. I played the role in my old school martin lwater king jr, and steven and extra. My school is having a talent show soon. Who ever read this should come. Please contact me I’m 12 years old and love to act with my friends and have a huge personality. I CAN ACT AND SING AND I LOVE NICKOLODEON SHOWS. I’m 18 years old and I would love to work with anything that has to do with acting. I have some experience, I was in a pageant also and placed 1st runner Up. I would love to try this. I’m 13 years old, I live in SF California and acting is something I wanna do for the rest of my life. I’m 17, I love to dance and sing. I’m really talented and funny. I would like to be on nick. I have a lot of experience to be on the show. I love acting and working with nick would be my BIGGEST DREAM!!!!!! I love making videos and posing them on youtube (xakashrdx) and knowing that one day I will do something about acting and I think that day is TODAY!!!!!!!! !